The reason why we prefer one product over another isn’t the price or the quality but instead the emotions which it provokes within us. The ‘rationality’ of our brain is a widespread misconception as it’s actually quite hedonistic and irrational. It creates attitudes to things and people based on emotions they provoke. But things are not as simple as they seem, because sometimes we get attracted to some pretty weird stuff. Contemporary advertising is the best example of this. Let’s take a closer look at why brands invest millions to provoke emotions and why it’s one of the best ways to attract and retain customers. Be prepared to watch some ad masterpieces and experience the complete range of emotions from amazement and happiness to antipathy and hatred. You don’t even need words to understand this commercial. It delivers its message to you starting from the very first seconds – bright colors, crowds of smiling people, sunlight, famous footballers playing their favorite game. We bet you started smiling somewhere between 0:15 and 0:25 seconds of this video. After watching it, you feel slightly more revived and happy than a minute ago. Why? Because your brain just formed a range of associations with the product which are quite strong as they are reinforced by positive emotions. That’s exactly what brands try to achieve – making e the product associated not with its physical value but with a particular emotion. 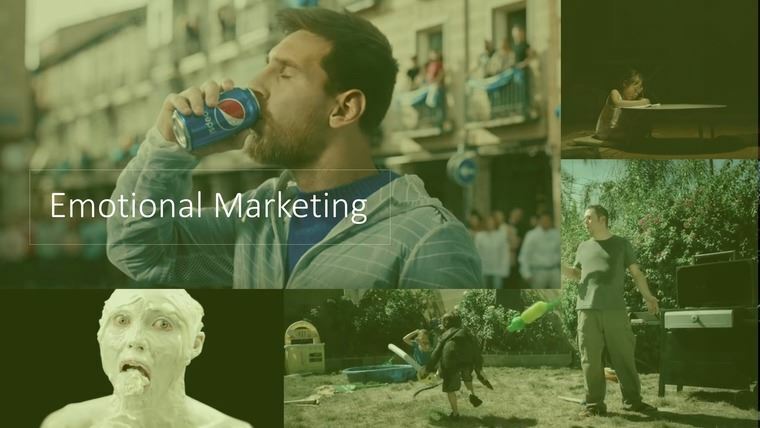 This is a completely different type of ad which is based on storytelling – still the most powerful tool of modern marketing. The contrast of emotions is in the center of this video created by the leading global insurance company specializing in health, life and pension insurance. It’s a story about very basic and important feelings – those related to family and children. Can you imagine something better for selling life insurance than showing a father sacrificing everything for the future of his daughter? The answer is pretty obvious. From the marketing point of view, it’s a home run, as it appeals to fundamental values in a very touching and intimate manner. Try not to cry while watching. Which emotion do you feel when you see co-workers stuffing their mouths with food at their desk? Probably it’s contempt. But we are pretty sure that more than once or twice you’ve done the very same thing when being overwhelmed by an important task or trying to meet a deadline. Contempt is a strong emotion which makes you compare yourself with others and associate yourself with certain types of behavior. This is quite an effective marketing trick as in this particular case the contempt is a trigger which helps you to either associate yourself with the depicted situation or on the contrary distance yourself from it. In any case, it creates an “emotional link” with the product which will emerge the next time you will come across the “desk lunch” situation. Few of you will disagree that sometimes we just want to feel melancholy and even sadness as much as we want to feel happiness and joy. Just recollect the last time when you were disappointed and listened to the sad music which made you even sadder. Brands use this peculiarity of our brain, even though it requires more creativity and skills to properly appeal to the somber part of the ego, than to a joyful one. Johnnie Walker managed to do it perfectly by depicting those moments in life when you are the most likely to pour yourself a drink and think about some very important and intimate things. Making people feel embarrassed and anxious is also a good way of attracting their attention. This ice-cream commercial is disturbing and scary but at the same time outstanding. And that’s the point – the company wants to create a strong emotional bond with the product and make you want to try it. Furthermore, the motivational text in this ad mismatches the wired image, as controversy is the key message here. It’s even rendered predominantly in black and white colors. Our brain is attracted to unusual and foolish things and that’s why you enjoyed watching this uncomfortable video. Some brands apply pretty disgusting images to hyperbolize things which we don’t like. This ad by Wrigleys is provoking antipathy to what is shown and what by chance concerns everyone from time to time – bad breath. The product itself is shown as a fast remedy to undesirable consequences of bad breath. So, next time you go on a date or to a job interview your brain might remind you about this particular remedy which can help you avoid embarrassment. This commercial challenges conventional belief that children are the “happiness of life” and demonstrates that they can be evil creatures which you may actually hate. Now, take into consideration that it’s an advertisement for Durex contraceptives and you will get quite a sarcastic mix which messes with your feelings towards children. Again the product is shown as a solution, but for a quite pungent “issue”. Appealing to negative feelings towards conventionally “good things” is another way of conveying a memorable message about the product. These are 7 basic emotions which brands rely on when trying to establish an emotional connection between customers and products. In case you are searching for ways to improve your marketing the abovementioned approaches and tricks will be very helpful. 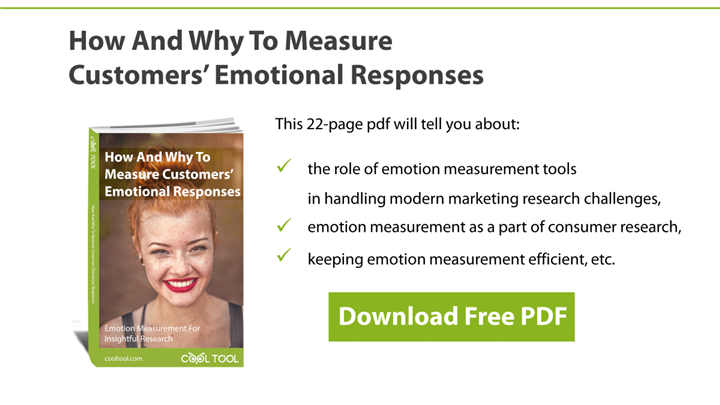 It remains only to find a good solution for measuring emotions you try to provoke with your content.